Pacific Island countries are increasingly integrating efforts among national ministries to sustainably manage a wide range of marine assets and resources. During this year’s 28th SPREP Meeting in Apia, Samoa, representatives of the Environment Ministries of Tonga, Kiribati and Fiji shared their experience on the inclusion of the significant values associated with services and goods provided by coral reefs, mangroves and other marine ecosystems into national decision- and policy-making. Speakers recognized the comparatively high values of previously unrecognized marine ecosystem services, in some cases exceeding on an annual basis the value of national exports. 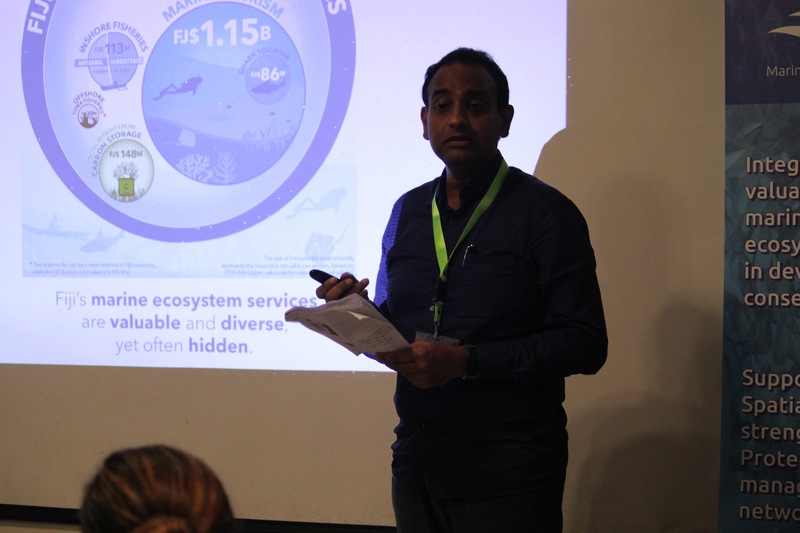 Joshua Wycliffe, Permanent Secretary of the Ministry of Environment in Fiji, underlined the importance of healthy coastal habitats for the development of sustainable marine ecotourism, that provides more than FJD 1 billion per year to Fiji’s economy. In combination with values linked to coastal protection from erosion, commercial, subsistence and artisanal fishing, as well as the absorption of carbon dioxide by seagrass and mangrove areas, the assessed marine services and values amount in the case of Fiji to more than FJD 2.5 billion per year. Taouea Reiher, Director of Environment in Kiribati underlined the importance to recognize these values and to manage them in an integrated manner. She emphasized the need to ensure that these diverse benefits are maximized and sustained rather than risking losses caused by impacts of competing marine resource uses. In many cases a growing recognition of these values has become the basis for inter-sectoral marine spatial planning efforts. Mr Paula Ma’u, CEO of the Ministry of Environment in Tonga, underlined Tonga’s high-level recognition that terrestrial and marine spatial planning are key efforts to guide and inform decision-making processes supporting Tonga’s development policies and plans. 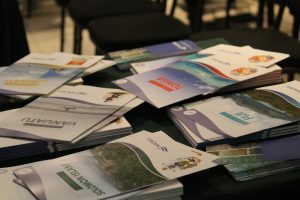 Examples from Vanuatu, the Solomon Islands and Tonga highlighted government efforts to establish high level inter-sectoral ocean governance arrangements, leading to the formal establishment of the “Ocean 12” Steering Committee in the Solomon Islands, as well as the “Ocean 7” Steering Group in Tonga. In April 2017 Vanuatu’s inter-sectoral Oceans Committee developed the first national Ocean Policy among Pacific Island Countries. The statements were made during a side event of the regional MACBIO project that has been jointly implemented since 2013 by SPREP, IUCN and GIZ and is funded by Germanys Ministry of Environment under its International Climate Initiative. Representatives from the MACBIO implementing partner agencies SPREP, IUCN and GIZ as well as the Pacific Forum Secretariat underlined the importance of strong and lasting partnerships among technical and regional organisations to jointly assist countries in the implementation of the Pacific Oceanscape Framework, and to meet their commitments to Aichi targets and Sustainable Development Goals, in particular SDG 14.